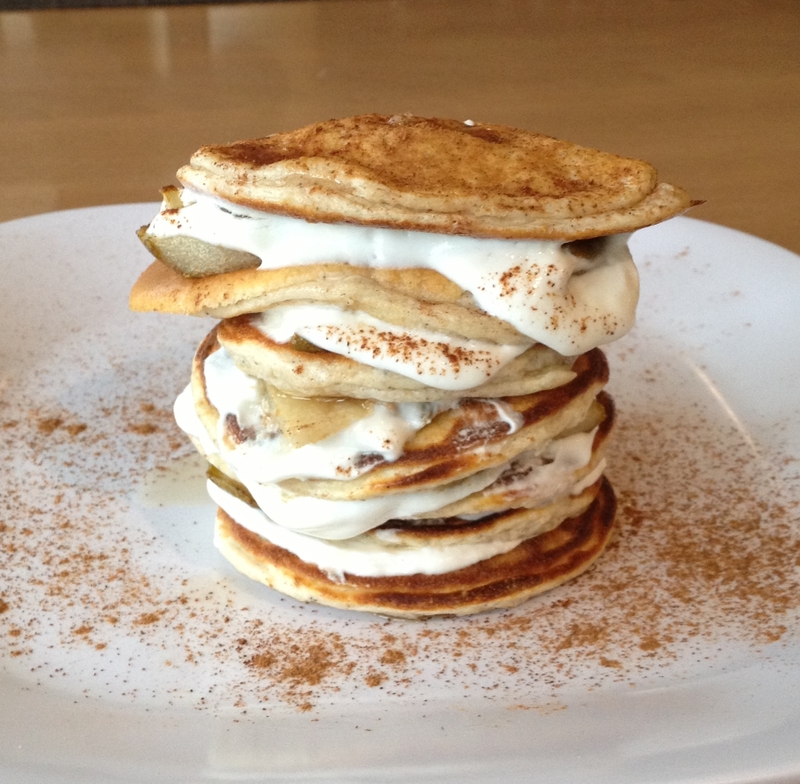 Warmed pears layered between pancakes make this breakfast taste like pie! 1. Heat a small pan over medium heat and spray with cooking spray. Add pear slices and ginger. Let these cook until they are soft. 3. Add drink ingredients and blend well. If you're hand mixing, I recommend mixing the wet and dry ingredients separately, then gradually add the wet ingredients to the dry ingredients. 4. Heat a large skillet over medium high heat sprayed with cooking spray. Add pancake batter by the tablespoonful. Cook until small bubbles form and the edges start to set. Flip and cook on the other side for about a minute. 5. For the filling, mix together the Greek yogurt with stevia (to taste). You can use more or less yogurt depending on your needs/preferences. Layer your pancakes with the yogurt and pear slices.